The hotel and hospitality trade relies on inviting light as an essential design element from the very first moment for creating a welcoming atmosphere. Innovative lighting concepts can also contribute decisively to offering your staff optimum working conditions and reducing energy costs: the savings potential can often be as much as 30 percent. Well-being versus cost pressure: modern LED technology is being relied upon increasingly by hoteliers and the catering trade as a means of creating an inviting and pleasant atmosphere for guests and reducing power consumption at the same time. An atmospheric yet energy-efficient interior design can be created with our LED lighting solutions, which combine warm, ambient light with a long lifetime and extremely low energy costs. "The hospitality industry is becoming more and more demanding – it has to continuously meet more objectives and perform more jobs while always being individual and unique for its guests." A further example also demonstrates the efficiency of downlights with modern LED technology: electricity and maintenance costs can thus be reduced by up to 54 percent in a corridor with 20 luminaires. 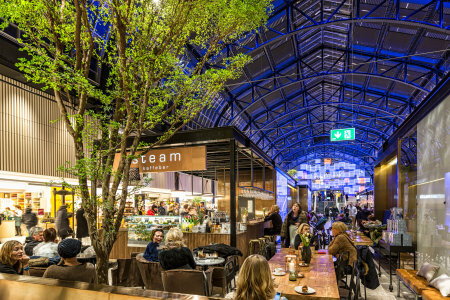 This also applies for LED solutions in outdoor areas, which are practically maintenance-free in comparison with halogen floodlights with up to 1,500 watts and also use up to 90 percent less energy compared to a luminaire featuring conventional technology. Conference areas in hotels, for example, have special requirements with respect to light: different light is required for creative brainstorming than for concentrated working. Whether for general lighting or for color effects, all requirements can be fulfilled with a smart light management system and additional sensors. In a first step, you can lower your long-term energy and replacement costs by switching to a more efficient lighting system. A broad range of products + special solutions through location-specific planning of the lighting conversion project. We will provide you with the right light for every area, designed to meet the needs and expectations of your guests and employees. The right planning of the lighting system will significantly increase your guests' feeling of comfort and welcome. In the bar and restaurant areas, for instance, the right lighting situation can prompt guests to stay longer, thus giving a significant boost to sales. For the hotel and catering industry, we have developed our own environmental light certificate that serves as a singular international benchmark and certification program for lighting. The award is issued on the basis of the fulfillment of LEDVANCE standards, which are met by using verifiable indicators like energy, CO2, disposal, etc. 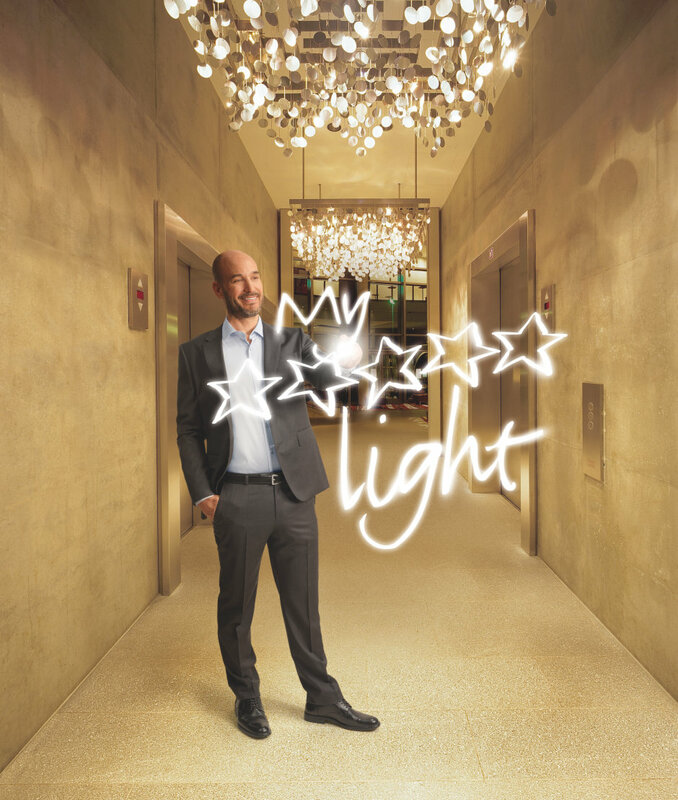 As long-time professionals in hotel and restaurant lighting, we take our jobs very seriously and are eager to stand by your side in this changing marketplace. Profit from our more than 100 years of experience.